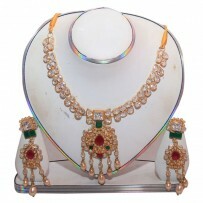 Exclusive EiD Necklace Set Collection RA037A. 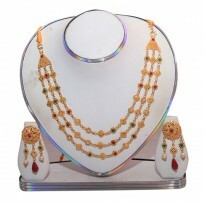 Original gold plated Necklace set. Multi color combination. Stone and pearl Easily carry able And fashionable. Looks like real Gold. Carry it Any party or Any occasion. Exclusive EiD Necklece set Collection RA030A. 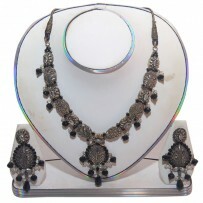 Exclusive EiD Necklace Set Collection RA038A. Exclusive EiD Necklece set Collection RA028A. Exclusive EiD Necklace Set Collection RA035A. Exclusive EiD Necklece set Collection RA026A. Antique collection Jorua set. Exclusive EiD Necklace Set Collection RA033A. Exclusive EiD Necklece set Collection RA024A. MODEL Necklace Set. Exclusive EiD Ear ring Collection RA031A. Pearl set. Exclusive EiD Necklece set Collection RA022A. MODEL Short Necklace. 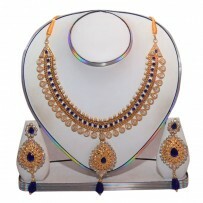 Exclusive EiD Necklace Set Collection RA039A. Exclusive EiD Necklece set Collection RA029A. Multi color Necklace set. 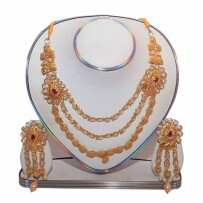 Exclusive EiD Necklace Set Collection RA036A. Exclusive EiD Necklace Set Collection RA034A. Exclusive EiD Necklace Set Collection RA032A. Exclusive EiD Necklece set Collection RA023A. MODEL Short Necklace. Exclusive EiD Necklace Set Collection RA040A. You're reviewing: Exclusive EiD Necklace Set Collection RA037A.